“Deep fried WHAAAAT?” or Las Vegas Foodie Fest – Go ask Alisa – DIY capsule wardrobe one stitch at a time! Now that I have seen this food truck action in real life I must say I am not that overly impressed. It could be a bit more organized (layout, seating areas), although food was VERY good, but a bit pricey if to be honest. We, me and Jared, don’t mind paying extra buck for an ultimate tummy feast, however deep-fried cheesecake for $9 made me feel like I have been robbed. And I have been looking forward to bite in that deep-fried-heaven-of-all-sweets for months. Don’t get me wrong – we ENJOYED! Some things very particularly good, like: lobster bisque, all sorts of hot dogs, amazing drink stands and quite huge amount of Greek food trucks. 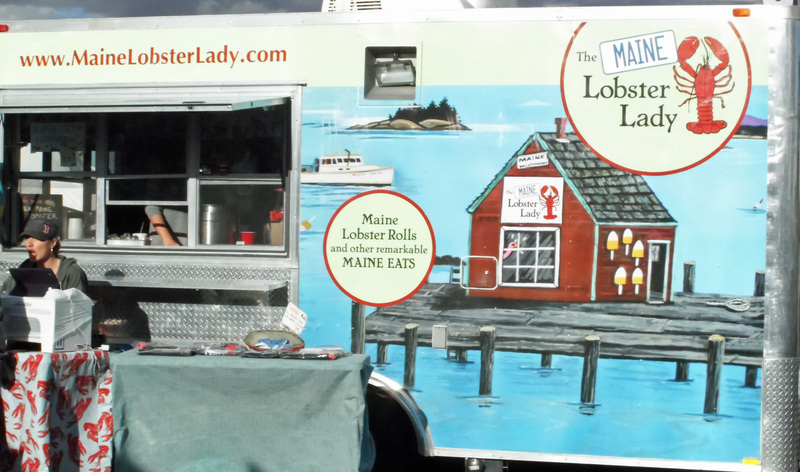 Maine Lobster Lady is a must, and “Deep fried whaaat?”as well. Yes, I was not overly impressed with the cheesecake, but you must try deep-fried Oreos or brownies at least once in your life. Buldogis is another place where to stop – those hot dogs are simply finger-licking-good. We had a signature hotdog of theirs and left happy! By the way, it was my first American hot dog eating experience -yay! And of course White Castle, line in front of which was insanely long. Forgot to mention very fun refreshing drink stand with cucumber-basil shakes. All in all it is a great event for family people with kids, you will find a variety of rides and activities for younger kids and teens. There is one more day left – so hurry up! Jees, and where exactly is that? We didn’t make it out, but now I wish I had. I heard from my husband that one of his friends waited an HOUR for the White Castle line….that’s CRAZY! 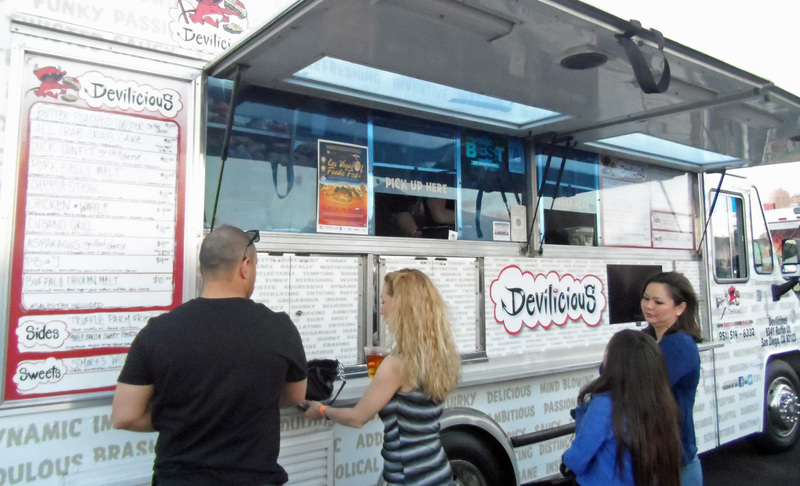 I would totally try something from the deep fried whaat food truck (but agree…$9 for the cheesecake would be painful). Brandie, we went yesterday to the Pirate fest, here in Las Vegas as well, and I shall say it was FAAAR more entertaining then foodie fest. Lots of activities, some food as well, people were dressed up as pirates – it was fun!